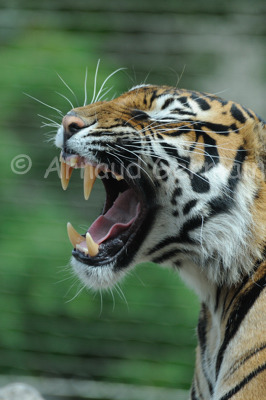 I waited for about 30 minutes next to this female Sumatran tigress in London zoo, before I could take this shot. The tigress was on a platform, levelled with the glass panelled public area. In the wild, there are only about 300 of this species of tiger left. On that day, the cubs were out close-by. Zoos play a very important role for species such as this one that a threatened with extinction in the wild. Nikon D700, Nikon 70-300mm VR at 260mm, F5.6, 1/1600s, ISO 800, handheld.